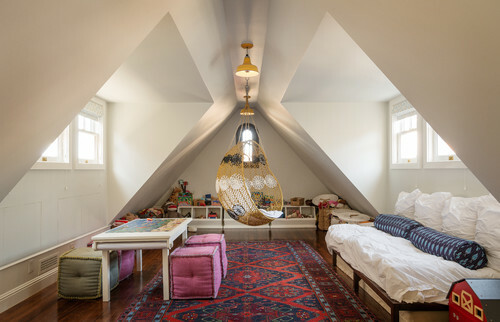 Whether it’s to add a new master bedroom suite, a self-contained accommodation for guests or an au pair, or to create a home-working environment, converting a loft into a habitable space has become a hugely popular way to add more room(s). This beginner’s guide should help you avoid common conversion pitfalls and make the most of your loft – bookmark it if this is a project on your wish list. 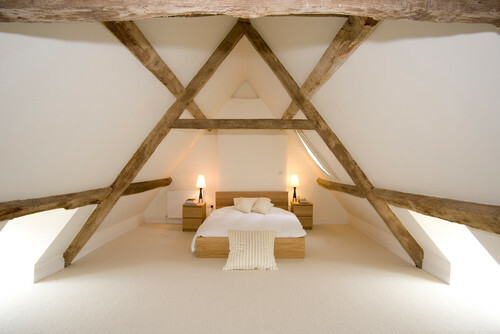 While it’s sometimes possible to find the extra room you need within your home by reorganising what you already have, if you want to add a whole new room (or rooms), usually the most cost-effective way to do this is to convert a loft space. 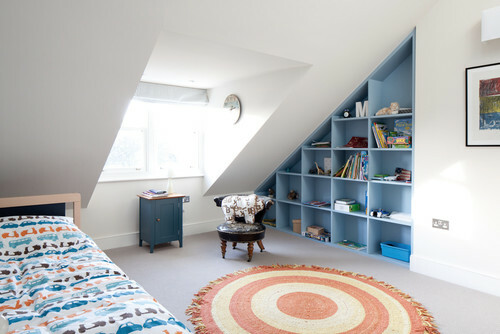 Compared to an extension, which will typically involve expensive foundations and groundworks, a loft conversion is built onto a structure that is already in place, so it will usually be cheaper, quicker and easier to achieve. Technically, a loft ‘conversion’ is where the space above bedroom ceilings and beneath a pitched roof is converted from a non-habitable, dusty, uninsulated space for storing suitcases into a habitable room (or rooms). To do this, typically both the roof and floor will need additional structural strength, insulation will have to be added, some daylight will need to be allowed in (often with a roof window) and a new staircase will be required. If your loft space has enough height (often a critical factor), then this can really be a very simple building operation indeed and can add charming and effective new space to your home. 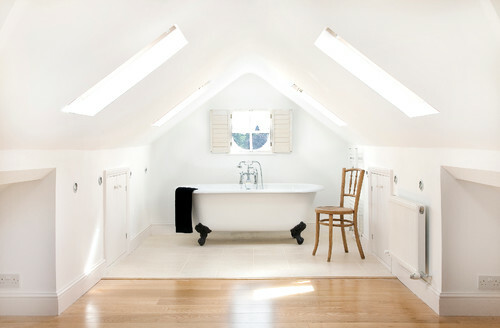 A loft ‘extension’ is where the loft space is enlarged – most commonly with the addition of a dormer window. 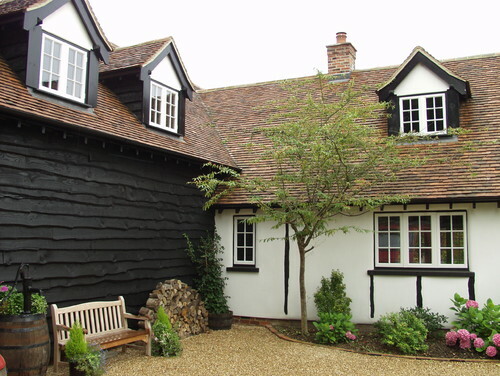 Instead of a roof window, which slopes with the roof, a dormer window is an external construction that forms a vertical wall into which a window can be built with side ‘cheeks’ and a little roof of its own, as pictured here. Dormers do not enlarge the floor area as such, but the effect of them is to create more internal height and volume, meaning that in areas that would otherwise be too low to stand up in, you can have much more usable space. There are several different shapes that dormer windows can take, and these have different visual effects and give different benefits internally. The shape that most people often feel are the ‘prettiest’, most traditional and certainly the form that planners tend to like are small pitched-roof dormers. These can add an attractive cottagey look to a traditional roof as this image illustrates, but the downside is that they tend to add very little internal headroom and volume to your loft room. When a flat-roofed dormer is enlarged so that it forms much – or even the full width – of a house, it is called a ‘box-dormer’. These really maximise the potential space internally and are certainly the best way, in most instances, to get great upstairs space. Typically, for cost reasons, these will be built with fairly small windows and roof tiles hung on their vertical faces as an exterior wall finish. 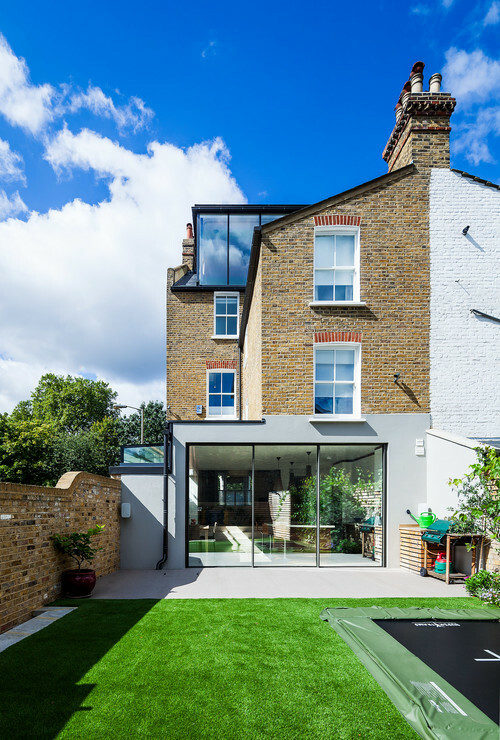 However, their appearance (and effectiveness) can be greatly enhanced by choosing full-height glazing, as seen here. Light will flood in and you’ll get great views, too. Despite what you might have heard, if you are going to extend your roof you will need Planning Permission. However, there is a mechanism that will give the vast majority of houses automatic permission for a loft extension within certain limits – this is called ‘Permitted Development’. Permitted Development allows roof extensions without the need for a planning application as long as (broadly*) they are not on the front pitch of your roof, do not exceed the highest point of your roof and stay within certain volume limits. However, the section on extending roofs does not apply in conservation areas and flats have no Permitted Development rights at all. *The various rules can get quite complex and then there is supplementary guidance on interpretation of the rules and case law where interpretation has been tested. Accordingly, it is really important to get some informed professional advice to make sure that your plans stay within the various limitations. Our story ‘Do You Really Need Planning Permission For That?‘ provides a brilliant crash course in Permitted Development. Many people confuse the need for Planning Permission with the Building Regulations. These are completely separate requirements and each need to be satisfied. While planning concerns itself with the use and look of a building and its effect on its local environment, the Building Regulations are there to ensure that buildings are made to a suitable level of quality and are safe. There are many little regulations that need to be adhered to, but the one that most frequently trips up homeowners is to do with fire escape. If you have an open-plan ground floor (as in this picture), that is generally fine when a house is only on ground and first floor. However, when adding second-floor accommodation (as with a loft conversion typically) there needs to be a ‘protected route’ for fire escape, which generally means a separated hallway. This can trip people up terribly and of all the regulations to flag, this is the most important. 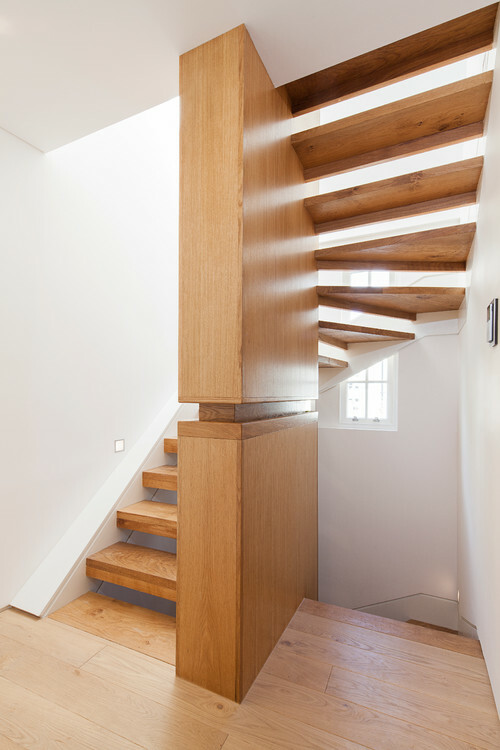 Invariably, the key to successful loft-conversion design is to really think through the optimum position and shape of your new staircase. By definition, the stairs affect both the new floor and the floor below. Often the most efficient location is directly above the stairs below, but this is not necessarily the best position and often cannot be made to work. 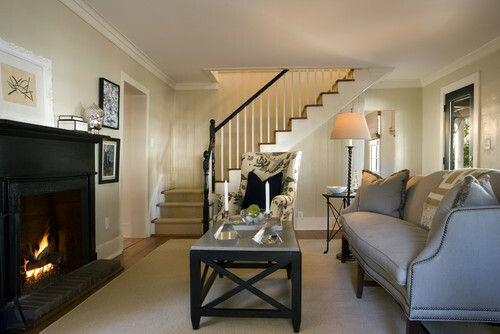 First, think through where the stairs will arrive on the upper floor (they will need good headroom to comply with regulations, but you don’t want them to take the best space). Then figure out the most convenient position on the floor below for the foot of the new staircase. The art then is to join these two points up while staying within the regulations. Doing this elegantly and to allow good flow of light is where the real skill lies.